I first started working out in high school. One of the football coaches was there after school every day and we would work out. There were about 5 of us that would show up every day and he would tell us what exercises we needed to do. The only thing he asked is that we worked hard and that we needed to bring a notebook to every workout. We needed to write down every exercise that we did and track the weight and reps for each set. It was simple but valuable because we could look back at what we did before and make sure that we were making progress. Fast forward a few years later and I was the one training people and giving them workouts. I would track all the workouts and the gym I was working at would give out little checkbooks to all new clients. It looked like a regular checkbook that a bank would give you. Instead of checks and a register, the top portion had a list of foods along with their calories, protein, carbs and fats and the bottom portion had a log where you could write down what you eat and the calories, etc. Before every workout, I would look at the checkbook for every client to see if they were following their meal plan. Well, that was a long time ago and boy have things changed. Nowadays most people have smartphones that can track your foods, track your workouts, track your sleep, design a workout program, play your favorite music and even record a video of you to make sure your form is solid… all from a little device that fits neatly into your pocket. So instead of trying out the millions of aps that are available on your iPhone or Android, I went through and picked out the ones that I thought were the best. All of the aps I chose are free but some have premium upgrades if you want a few more features. I apps are listed in no particular order, but I did divide them into separate categories based on what they do. Whether I am looking to calculate my protein from all the beef or to make sure I am getting enough calories, this is the app I use to track my foods. There is a huge database of over 5 million items and you can also scan barcodes of over 4 million products. No other app’s database even comes close. Most of the info is user entered though so you may have to double check the numbers if something doesn’t look right. It calculates a calorie target based on the info you enter. It also gives you a default macro level but you can adjust it depending on what your goal is. In addition to storing your food journal, you can also chart your weight progress and set alarms to remind you that it’s time to eat. This is a solid ap that remembers what you enter so it gets easier to enter information the more you use it. Another great food tracking ap is Lose It! It has many of the features that my fitness pal has such as a large food database, setting reminders and charting your measurements. Its initial settings do not allow you to choose a weight-gain goal, but this ap can still allow you to log everything you eat and track your calories and macros pretty accurately. You can enroll in challenges against other users to help keep you motivated. Lose It syncs with many other fitness apps and devices which makes tracking a lot easier. MyPlate gives you everything you need from a food tracking ap. It tracks your calories and allows you to create custom foods and meals. Like the other apps you can stick with the recommended calorie target or enter a custom number. I like the simplicity of MyPlate. It does not have as many features as some of the other aps, but all the important ones are included. My favorite thing about this app is that you can see the calories, macro totals and percentages all from one screen. Most of the other apps required you to switch between screens to see that information. There are some people think they are eating very healthy but eat a lot of crappy food. If you are wondering if that is you then this app can help you at the grocery store so you don’t buy junk. You can scan the barcodes of the foods you are thinking of buying and it gives you a recommendation based on your goals. You can enter what is important to you, such as protein, and the things you want to avoid, such as sugar and high fructose corn syrup. Shopwell will give you personalized suggestions based on what you enter. It also can let you know what foods to avoid if you have any food allergies or health problems such as diabetes or gluten intolerance. Food Scores grades foods and looks at things other than just what is listed on the label. Most apps will just look at the nutrition of a product. Food Scores also factors in any negatives with the ingredients themselves. It will let you know about other contaminants in your food like preservatives, antibiotics and pesticides. The grade is also based on any issues with the processing. The less processed a food is, the better grade it receives. A 1.0 is the best possible score and a 10.0 means you should run away from that product. The database includes over 80,000 products, 5,000 ingredients and 1,500 brands and while that may sound like a lot, you might have trouble finding some obscure products. When I tried to test it on a few protein bars none of them were found. This app also allows you to scan barcodes at the grocery store but it gives you a food grade based on your nutrition goals.Ratings are letter grades like in school. There are 10 possible grades ranging from A to D.
The ratings are based on overall nutrition, ingredients, the amount of processing and how the product compares to others in it’s category. It also lets you know about the pros and cons of each product and recommends similar alternatives that may be healthier. These recommendations are based on the personal goals you choose. This app is like a cross between a video game and a workout log. As you log your exercises you unlock achievements and accumulate badges. You also unlock quests that challenge you to complete fitness challenges such as benching a certain weight or doing muscle ups. These cool features may be the just spark of inspiration that some people need to get them off their couch. The app also provides some simple programs for you to follow that are based on your goal. Most workouts are circuits for weight loss or general health. The programs for building muscle or strength are pretty simplistic and don’t include movements like squats or deadlifts. Advanced lifters will need a more challenging routine and luckily Fitocracy allows you to input your own program. If you are looking for a workout app with all bells and whistles, this is the one for you. 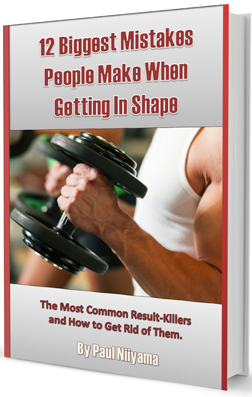 There is a huge database of over 1,300 exercises for you to reference as well as over 2,000 routines. Many of the routines are used created so there are a lot of good ones to choose from and are sorted by goal and fitness level. You can also create your own exercises and routines. The feature I like is the workout timer which counts down your rest period between sets to make sure you aren’t slacking. You can take progress pictures and share it with the community for extra motivation you can also track your progress over time so you can see your gains. The appeal of Strong is it’s simplicity. No fancy pictures or fluff it’s just a simple tracking tool. This is the app I use to track my workouts. There are no pre-programmed workouts so you need to already know what your program is. This should not be a problem for intermediate and advanced lifters though. You can go back to your previous workouts and look at your PRs and it also calculates your 1 rep max based on what you lifted. There is not a lot else to this app, but to someone like me that already knows what they are doing and how to design a program, this app is really all you need. EDIT: Right after I posted this article and a bunch of links saying that Strong was my favorite app, I went to work out. I used Strong but it would not let me enter my workout. It seems you can only enter 5 workouts before it requires you to purchase an upgrade. While it is only $4.99 and not very expensive, I would not qualify this as a free app anymore because the ability to enter only 5 workouts does not make it very functional as a free app. I still like this program but be aware there is a cost to use it and there are other apps that can do the same thing for free. There are a lot of apps that track your running and cycling activity but I think Map My Fitness is the best of the bunch. Honestly, running and cycling is not my thing, but if it is something you enjoy than you can’t really go wrong with this app. It uses your phone’s GPS to track your stats like time, distance, calories burned and a lot more. It can also sync to devices like fitbits and heartrate monitors. There are over 70 million routes to help you plan your activity and if you’re not into running or cycling there are over 600 other activities that it can help you track. There is also a food tracker with this app but again I would recommend using a separate food tracker since it will give you more information and options. I’ve never really seen the value of a pedometer, but I have to admit after using Argus for a while, it becomes pretty addicting to see how many steps I’ve taken. The only thing is you need to carry your phone with you all the time for the number to be accurate. It does other things like allow you to track your water intake and heart rate but the real value is with the pedometer. Is this going to be the most valuable app you download? Not really, but if you are someone who is obsessed with how many calories you are burning on a daily basis then this can help you figure it out. It also allows you to track your foods by taking pictures of your meals but it does not record calories and other macros. Sleep is so important to your overall health and the quality of your workouts. Sleepbot tracks your sleep quality and sleep cycles. It can record the sounds while you sleep and track your movements to give you a better understanding of your sleep patterns. The smart alarm feature gradually wakes you up while in your lightest phase of sleep so you don’t disturb your deep sleep. It can chart your sleep patterns over time so you can see if you need to catch up on any sleep you missed over time. Music itself may not have a direct impact on your health, but I always better workout if I am listening to something that motivates me. When I am listening to good music, I can lift heavier weight and have an easier time staying focused. Listening to some easy-listening elevator music just doesn’t do it for me. Enter Pandora. You create stations based on keywords you type in. You can use a song title or an artist name and Pandora will select other music that it thinks is similar. If you don’t like the song that it selects, you can skip it, but only 6 per hour and 30 per day. Pandora is streamed over wifi so that can be limiting unless you want to use up your cel data. Currently it is only available in the U.S., New Zealand and Australia, so if you aren’t in one of those countries you are out of luck. It’s an all-around great app that is simple to use. Spotify is another great streaming music app that a few key differences than Pandora. It is available in more countries so that alone separates it from Pandora for some. Instead of using an algorithm to select music you may like, users can create playlists. You can make your own or listen to someone else’s. The music library on Spotify is huge. As of 2012 it was estimated there were around 20 million songs available but that varies depending on your country. Compare that to Pandora which was estimated to have over 1 million songs in 2014. If you pay for their premium upgrade you can also download your music onto your device which makes it easier if you are going somewhere without wifi and don’t want to eat up from your data plan. So those are my top app pick. All of these have some value and it’s up to you to figure out what will help motivate you and to keep you on track. Some of the apps do the exact same thing so I would not recommend using every single one. In my opinion the two most useful apps for tracking my activity i MyFitnessPal for my nutrition and Strong for my workouts. I also use both music apps a lot but that is what works for me and that may not be what works best for you. My recommendation is to try them out and see which one you like the best and keep the ones you will actually use. There are literally thousands of of apps out there so I may have missed a few good ones and if I did, let me know. Leave a comment below or leave a note on the Muscle Building Foods Facebook group if you think I left off something that would benefit other readers. ← The All Meat Diet – Is it a Healthy Eating Plan? STOP!!! Are you wasting your time?